Feeling like nobody likes you in a certain town? Want to change that? Then this is the guide for you! What I truly love about this game is that all of your actions have an impact on the way the people around Henry react to him. You can see the status of Henry's reputation in the Player tab P in the Reputation sub-tab. Each town is considered its own faction, including Mill (???) and Monastery. The better Henry's reputation, the more friendly and helpful behaviour he can expect from others; people will talk to you more willingly, be easier to persuade or bribe and will offer him better prices in trades. Another important point is how crime and is handled in this game. If someone sees Henry committing a crime, but he doesn’t get caught, he's still not in the clear. Witnesses will remember Henry and if he returns to the scene of the crime, there’s a strong chance the guards will still be on the lookout and will continue to pursue. You can tell you are under pursuit by an "emptying purse" icon at the top of your HUD. So you can't just run around stealin' whatever you like or choking out people because they'll have an idea of who it is that's doin' it. Unlike Skyrim, if I choke out everyone and steal all of their clothes, they'll suspect that I did it since I'm still wearin' my clothes compared to the rest of the townsfolk! Every NPC belongs to at least one faction (sometimes to several at once) and you can be sure he or she will spread the word in the community about Henry's good or bad behaviour. Either way, the only major way to lower reputation is to commit crime, be it thievery, assault, or murder. Don't commit crime and you'll only be worrying about minor reputation decreases such as offending people in conversation, intimidate them, or other grievances as each named townsman (from what I understand) feels differently about Henry as seen with the Empathetic perk. Each faction has an icon that determines their overall perception of Henry: red frown for infamous, brown for neutral, and yellow smile for famous. Raising Henry's reputation is harder than lowering it, obviously. So: how do you do it? There are various ways to do so. 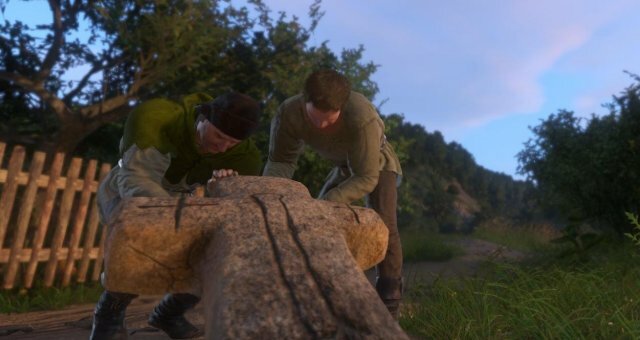 Your first option is doing side quests and activities around the town or location where you need to raise Henry's reputation. 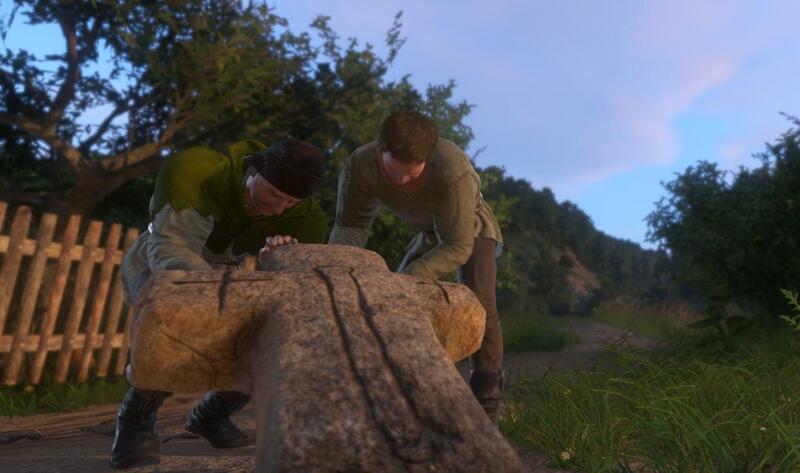 For instance, the activity Ruin in Rattay raises Henry's reputation immensely. This will prove difficult as nobody can just slay a camp of bandits outright, but late game it becomes easy. Keep a dagger on hand to cut bandits' ears off and sell to Captain Bernard for extra coin! Same goes for Cumans, but for Captain Robard. Yes, trade! The cornerstone of any adventurous videogame. Select a single item for your basket and haggle with the merchant. Tap up once so you sell for less or buy for more. How high or low the price is doesn't matter, so instead just tap up once for a single step more generous deal. You can do this with any tradesmen or vendors. Each shop has its own reputation, including shops that have two people such as craftsmen who have a trader and the artisan you can both do business with even though they share the same inventory. Again: single items and not multiple. It doesn't really matter how much the trader "owes" Henry because its reputation boost is calculated based on per transaction, not per unit. I have tested this, selling about ten cuirass(s) to an armorer at once at a deficit of thousands of Groschen and it did nothing for my reputation. I don't know about any of you, but if I was a medieval armorsmith and a shmuck walked up and gave me ten armor pieces for free, then he would be my best friend! Sadly this isn't how it works. Just go one step upward when haggling for their "thank you" and increased reputation. Henry may occasionally encounter a Wayfarer during fast travel who appears to be a woman sitting down at roadside, looking destitute. Give them bandages, food, cloth, Groschen/alms, whatever you may have because this is a very specific NPC spawn and they will tell their town all about the generous Henry! Try using fast travel back and forth or keep an eye out while riding on roads outside of fast travel because they could appear this way too. If Henry's reptutation sinks low enough, then townsmen will stop talking to Henry altogether. The fastest way to undo this severe damage is to assault a guard (unarmed of course, not aggravated assault) and go to jail. No matter whether or not you have enough coin, go to jail. Henry will have the imprisoned debuff, but this will reset Henry's reputation enough to undo your severe damage and let you play the game in this town again.